The latest Wondery mini-series I designed audio for “Over My Dead Body” just hit the pod-verse and the response has been pretty terrific - still at #1 on Apple Podcasts as of this writing two weeks after publishing. Across the board we tried to approach this story without using the standard True Crime tropes. For example - there’s no 911 call, victim or even a crime to kick off the series. Instead of returning to the ominous style underscore I’ve enjoyed creating in previous series this series is outright perky & plucky at times. All is not so bright though - it’s kind of a slow cooker and it does get dark. Imagined Life came back from holiday break with a few decidedly more, ummm shall we say controversial characters whose sometimes less than ideal lives we immerse you in. Some of my favorites so far of the series! In production presently is a very cool series I can’t name yet, written by my frequent collaborator Mark Ramsey. In 6 audio rich episodes we dive into the life of one specific former Undercover agent and their experiences drawn from a 20+ year globe spanning career. Big action and some surprise names in this one. I’m hearing rumors that POPS! - The Amazing Story of Louis Armstrong staring Reno Wilson might finally be published this year - I will be thrilled to get that out there. Plenty of other projects in the hopper - a few pilots with some incredible names attached, another season of Inside____ (insert famous movie) and of course expect more crazy true crime stories too! As always - I’m super grateful to be able to design audio for incredible stories like these - I look forward to sharing even more cool stuff in the weeks and months ahead! Till then - THANK YOU for listening! 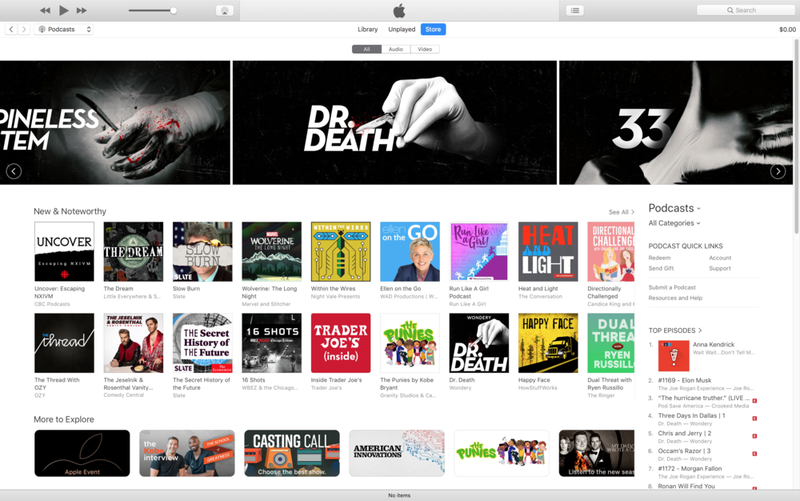 Over 36,000 Five Star Ratings (a record) 1000+ raving listener reviews on Apple Podcasts in the first month of release - and already optioned for adaptation for a Television series - DR DEATH has been a wild ride and holds an interesting lesson. I was fortunate enough to work on last year’s break out hit audio series Dirty John and it was hard to imagine I’d get the opportunity to work on something that connects with such a large number of people that powerfully and that quickly. Enter Dr. Death. DR. DEATH is 6 episode investigative mini-series about a medical system that failed to protect 33 patients in Dallas. Reported and hosted by Laura Beil produced for Wondery - Sound Design and Production by yours truly. The series has gotten coverage in The Cut, Popsugar, The Daily Mail, Vice, Rolling Stone , Esquire among others. The audio production on this series is more forward, designed and cinematic than public radio journalists and listeners are accustomed or even prefer. It’s the kind of work I most enjoy doing - scoring these stories as I might a film. It might seem a risky move from a pure journalism point of view - but when it’s done right it can get quality journalism into the ears and minds of people that might not have previously consumed it. While a few from the public radio corner of the audio space will comment with concern that if the journalism is that good “you don’t need” that kind of sound and production approach - I’d argue the opposite. It’s easy to forget that podcasts are still not consumed by most people (only 17%) and most of those listeners came from the public radio space. That’s a small space, relatively speaking. If the journalism is that good and important - you absolutely DO need that kind of audio design and production so that it can reach as many ears and minds as possible. This view feels vindicated by the fact that those concerns are not echoed by listeners in the 1000s of reviews and comments about the series. Instead they comment about how engrossing and terrifying the series is and the need to tell everyone they know about it. That is how the podcast audience expands beyond the 17% of the population. But that is not really my aim - my aim is to use powerful sound to make great audio stories resonate with ever wider audiences. YES! 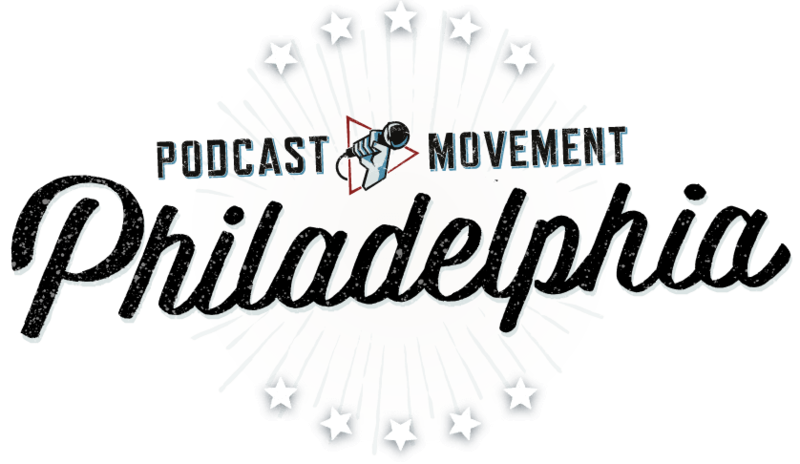 Jeff Schmidt Productions will be in Philadelphia for Podcast Movement 2018! If see me walking around looking dopey please say hello! Lots of work has been going on behind the scenes. The results of which will be hitting your earholes soon! The follow up from Mark Ramsey & I to Inside Psycho and Inside The Exorcist. 7 Episodes of our signature style audio rich single narrator story-telling inspired by the stories behind the making of a classic. This is a great follow up for the Inside series - and you'll definately want to bring it to the beach! Written by Mark Ramsey, acted/narrated by Reno Wilson and audio design by yours truly - this is a mold breaker. We take the single narrator audio rich approach of the "Inside" series and make it a first person account by Louis himself - from birth to death and 6 episode of goodness in between. Can't wait for you to hear this. True Crime? Check! Sept is the release - will share more information as soon as I can. Several more in early stages. Sound effect library website A Sound Effect is a terrific resource for indie sound effect libraries which I use quite often. Beyond that - It's also an amazing resource for behind the scenes interviews with some of the most creative sound designers in media - film, TV, video games - and now - podcasts! 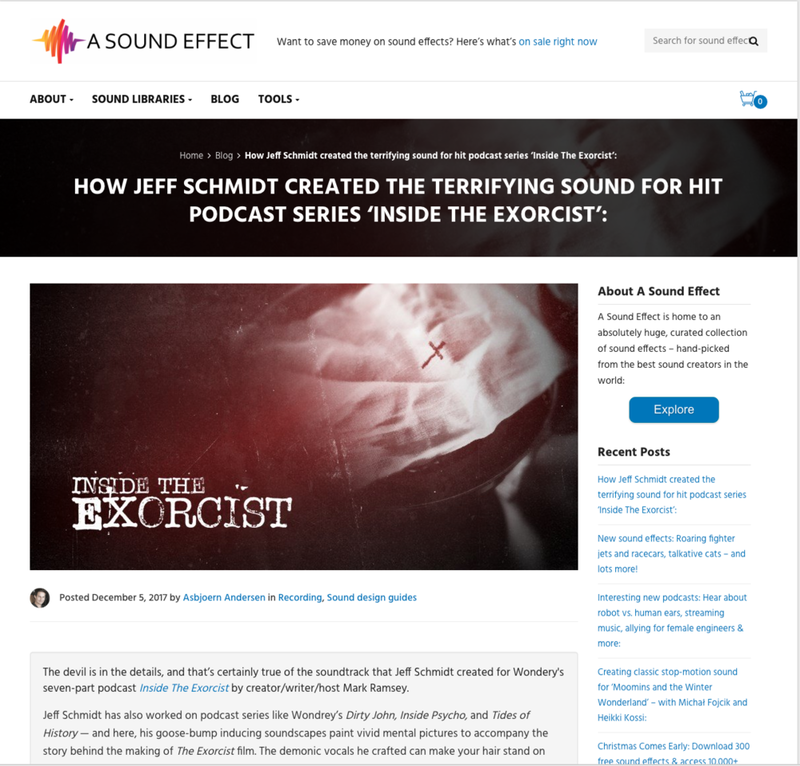 I was honored to share the behind the scenes of my audio work on Inside The Exorcist and a bit about Dirty John as well. Check it out HERE and make sure to check out all their other interviews as well - lots of inspiration and stuff to learn! 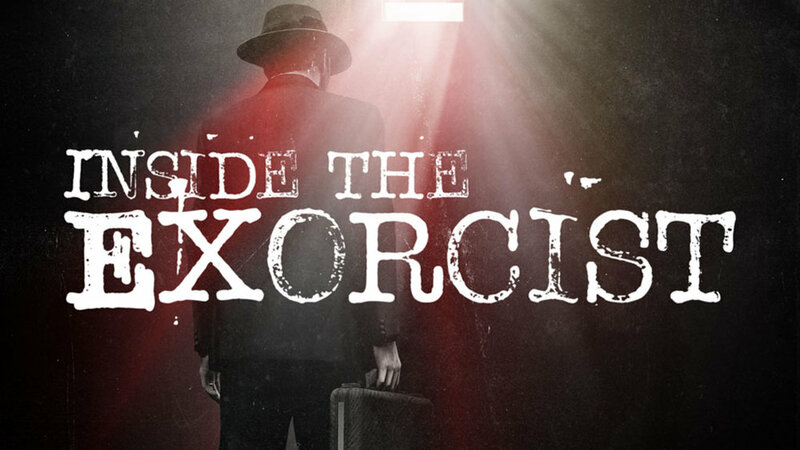 My latest collaboration with Mark Ramsey is out in the world - Inside The Exorcist Podcast. Mark wrote and narrated the 7 episode deep dive into the making of the classic film. I provided all Audio Design. This is by far the most ambitious audio only project I've ever worked on. Once you give the series a listen I think you'll understand why. Mark doubled down and created scenes that I had no idea how I was going to create with sound. It was an incredible challenge and I found myself disappearing into the work - a rarity for sure. Please give the show a listen and if you dig or appreciate it - consider giving it a 5 star review on Apple Podcasts and other platforms - it helps others discover the show as well.